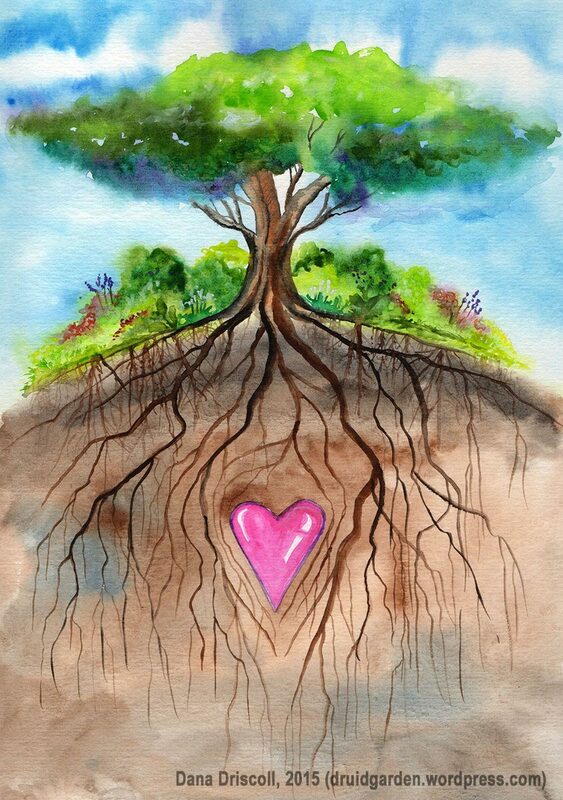 A big part of druidry, to many, is cultivating sacred relationships with the trees and plants around us. My blog examines this in many, many different directions–here are just a few of those! This is a whole series of posts on working closely with the trees. Druid Tree Workings: Finding the Face of the Tree: Sometimes the trees themselves share lessons with us about how to work with them, to talk with them, heal with them. 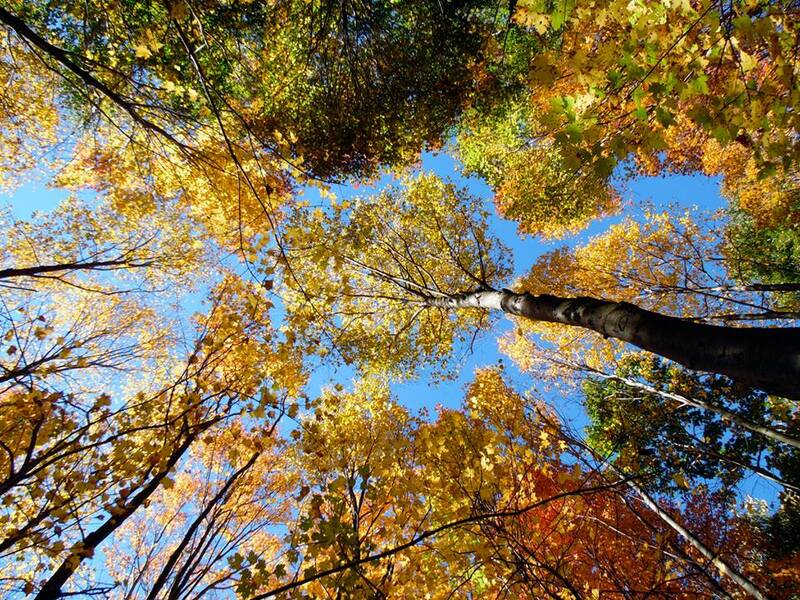 These are often presented to me as mystery teachings from the trees themselves–and I’ll be sharing some of these teachings with you. The first of these is finding the face of the tree. Druid Tree Workings: Connecting with the Tree on the Outer Planes: A primer on how to communicate with trees using “outer” approaches like observation and movement. Druid Tree Workings: Connecting with The Trees on the Inner Planes: A primer on how to use meditation, journeying, and inner communication with trees. Druid Tree Workings: Holding Space and Helping Tree Spirits Pass: There comes a time when one of your tree friends–or many of your tree friends–face cruel reality of the chainsaw. What then, does one do when one hears the cry of the forest? This, dear readers, is a very different kind of tree working, and one that I’ve been compelled to share. Introduction to Wildcrafting and Foraging, Part I: Equipment, Resources, What to Learn, and Timing: This post focuses on focuses on introducing the reader to how to effectively wildcraft/forage, and is built upon my extensive experiences foraging and wildcrafting, which I have been doing in some form since childhood. This post offers definitions, supply lists, resources, what and how to learn, and information on timing. Introduction to Wildcrafting and Foraging, Part II: Places to Gather, Ethical Harvesting, Avoiding Pollution, and Foraging as Spiritual Practice: This post will talk about places to gather, avoiding contaminants in the landscape, the ethics of harvesting, and the spiritual side to foraging and wildcrafting. 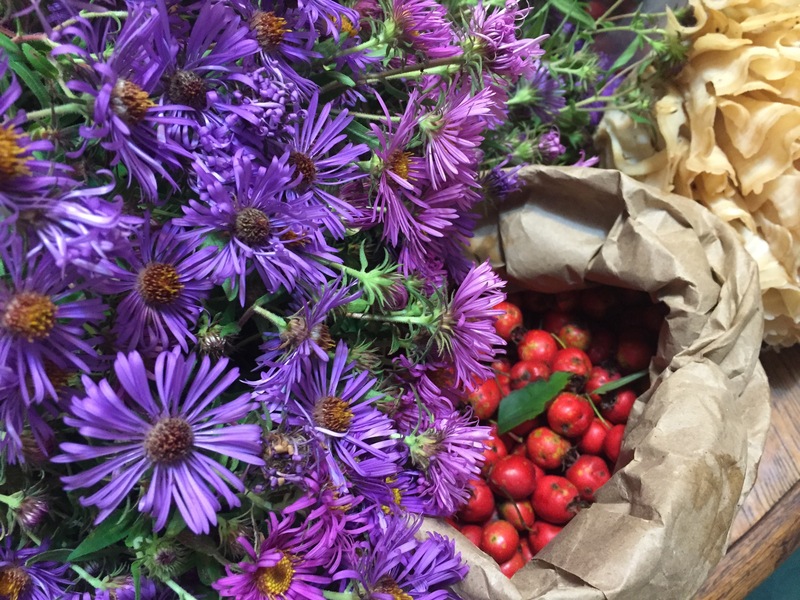 Herbalism as a Sacred Spiritual Practice. This post suggests that we can incorporate herbalism practice into other nature-based spiritual practices and compliment our spiritual life. Magical and Medicinal Tincture Making: Hawthorn at Samhuinn: An introduction to magical crafting and making hawthorn tincture. Elderberry Elixir with Ginger, Cinnamon, and Cloves: Immune system boosting for winter ailments! Backyard Healing Salve Recipe with Plantain, Chickweed, and Ground Ivy: Salves can be made from any herbal ingredient that can be used topically. Because salves are oil-based, they are particularly good for cuts, minor burns, bug bites, skin irritations, dry and chapped skin, scrapes, bee stings, brush burns, and so on. 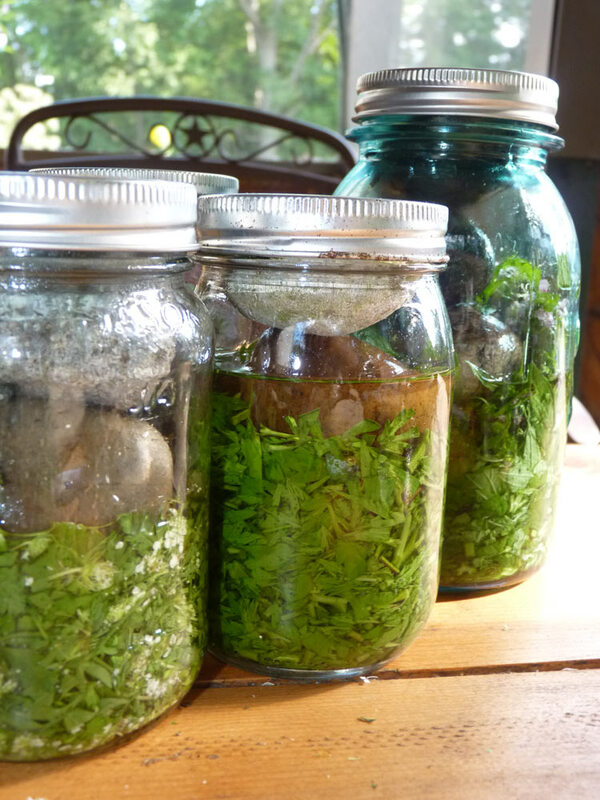 This post will provide the recipe for my healing salve as well as insight into three plants used in the healing salve, all of which can be found abundant in most lawns and mowed areas. Sacred Herbalism and Medicine Making at Lughnassadh. Sacred medicine making for one of our wonderful plant-filled holidays, Lughnassadh. 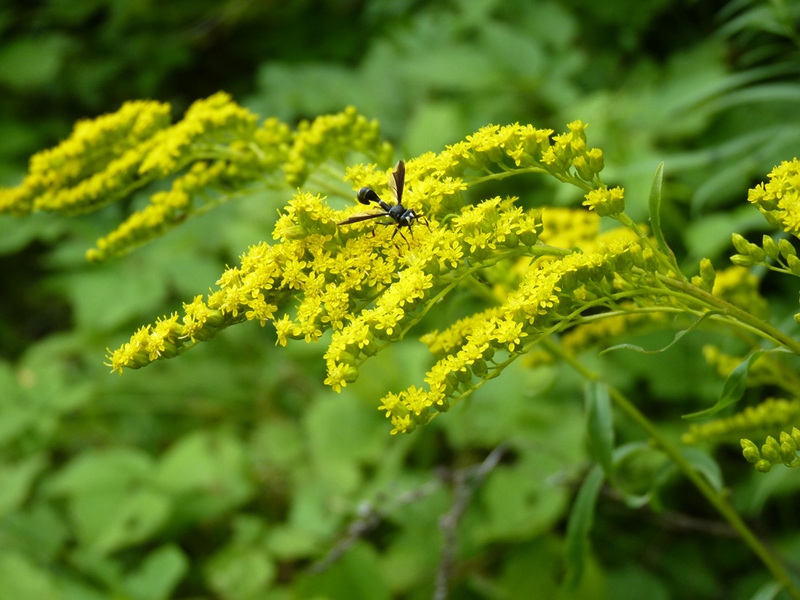 Goldenrod, tinctures, dried herbs, and more! Herbal Remedies: Steam Inhalations for Sinus and Lung Issues: The steam inhalation is very simple. You get a pot and put some water onto boil, make an herbal steam, and enjoy! 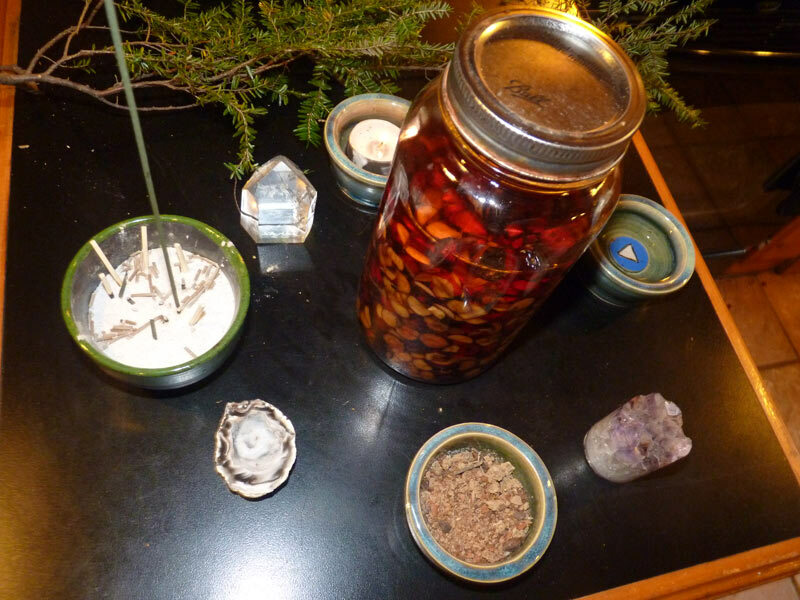 Making a Double-Extract Reishi Mushroom Tincture. Instructions for how to do it! Elder(flower): A delightful beverage and powerful medicinal treat!